Automation & Security are the North’s premier perimeter security solutions company. 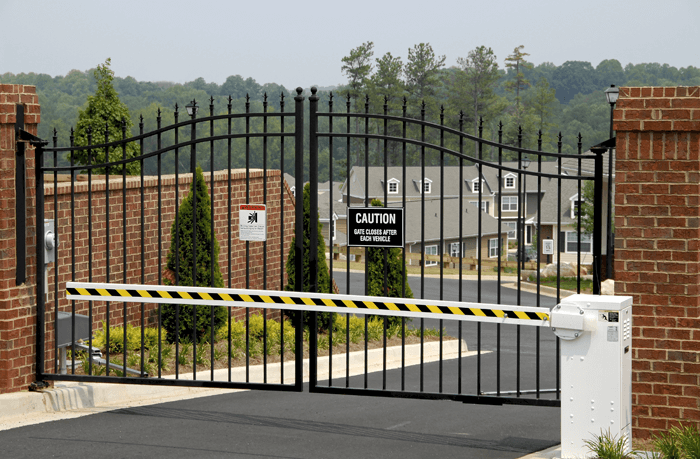 With over 20 years of experience in installing electric security gates, barriers and bollards, they are the company to call, whether you are looking to install new security systems or upgrade existing ones. Automated electric security gates are a speciality of Automation & Security. Whether it’s sliding, cantilever or swing gates they can supply, deliver, install and maintain all of their products. Working with the leading manufacturers in the security industry, they are the experts in security gate automation. Gate operators can be hidden at the base of the gate making them tamper proof and their on site inspection will give you the best advice according to your premises. There is no better way to manage traffic flow in and out of your property than arm barriers. These can be either manually or automtically operated and are usually found in shopping centres, sports centres or for premises with high flows of traffic. Add access control to the mix and these can be integrated into your existing employee database restricting unauthorised access and manpower. Bollards are a great way to manage where pedestrians can walk and vehicles can park. These can be installed with the aesetethetics of your property in mind with added security functions such as led lighting. Bollards can be either fixed or retractable. Rectrable bollards are usually found in areas such as airports, shopping districts, golf clubs or car dealerships which may be at risk of ram raid. For those properties which need a higher level of security solutions, PAS68 is a certification for products which can withstand a single impact even at higher speeds. Get in touch now to discuss your security needs.